some of the very bestbusinesses in the ​region for wedding services. ​knowledgeable, reliable and friendly manner. Between us we can meet every need for your wedding. From invitations, to flowers, celebrants, photography, dresses, accessories, venues and styling, you will find talented and reliable people with a true passion for what they do. 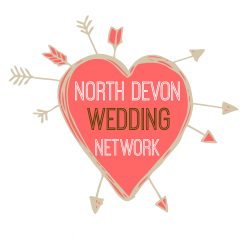 As a network we meet every month to discuss our work in the wedding industry, and we often work together to deliver bespoke designs and ideas for unique and personal weddings.